Macdonald Hotels has unveiled its first Irish meetings and conference hotel following the rebrand of an existing Carlton Hotel. 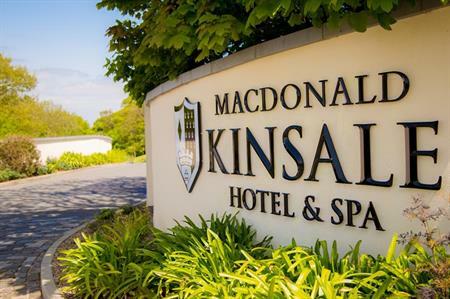 Rebranding work at Macdonald Kinsale Hotel & Spa, set in 90 acres of wooded parkland near Cork, finished yesterday (20 July). Macdonald Hotels, which is managing the property on behalf of a private owner, is now in talks with a designer about possible renovation work. The hotel’s 210sqm Rathmore Suite, which has views of Oysterhaven Bay, has capacity for between 40 and 300 delegates, while the hotel's events teams can arrange bespoke teambuilding days in partnership with local activity specialists the Oysterhaven Activity Centre for between eight and 100 people.